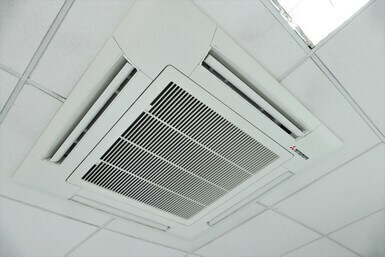 When it comes to heating and cooling for the home or for a commercial space getting the unit sizing right is critical. Underestimate and you will not be able to heat or cool your space sufficiently, overestimate and you could be wasting energy and paying higher bills than you need to. Your unit(s) could also wear out faster than necessary, leading to costly repairs and replacement. How do you size it appropriately to ensure you have the right HVAC units for the space and get it spot on? Let’s take a look at the necessary steps in the process. There are three key steps to sizing your HVAC unit. These apply whether you are installing an air conditioning unit alone or a combined heating, ventilation, air conditioning (HVAC) one. Floor space in your home, office, or other commercial space. What you need are the dimensions (in metres) of each room you want air conditioned and a rough estimate will work as a starting point when you are looking for a quotation. It’s best to refer to the building plans for more complex properties or where lots of areas need air conditioning, for example in a very large office building. Consider your ceiling height. Anything above the standard ceiling height of 2.5m will require an additional factor to be considered in the final calculations. Calculating the BTU. Heating and cooling units of energy are known as the British Thermal Units, or BTU. Armed with the size of your space, your engineer can then calculate the required BTU figure which is then used with all other relevant factors to calculate the size of unit(s) that you will need. How many people are in the building? This is particularly important to a commercial or office space. If it is a commercial space, what kind is it? For example, an office space, a gym, a retail space, a restaurant, bar, etc as certain environments will cause the unit(s) to work harder. How many doors and windows are there and what aspect do they have? North-facing windows are more likely to lead to a colder space while south-facing ones are expected to ensure a warmer environment. This is especially important for commercial properties with large glass fronts, such as shops. Ease of access for installation. Please provide us with anything we need to know, for example – do we need access to rooms that are usually locked, extra tall ladders to reach where you would like the unit(s) to be installed or are there any special security arrangements we need to be made aware of? Working hours. Can work take place during normal working hours or would that be too disruptive for you? We can provide out of hours quotes if required. Are there any particular unit preferences that we would need to consider, e.g. a preferred manufacturer or unit type? Simple installations can usually be quoted for without the need for a site survey, so we won’t waste your time with unnecessary appointments or meetings.